The nation's largest brick and mortar retailer gearing up to fight rival Amazon's grocery concept. 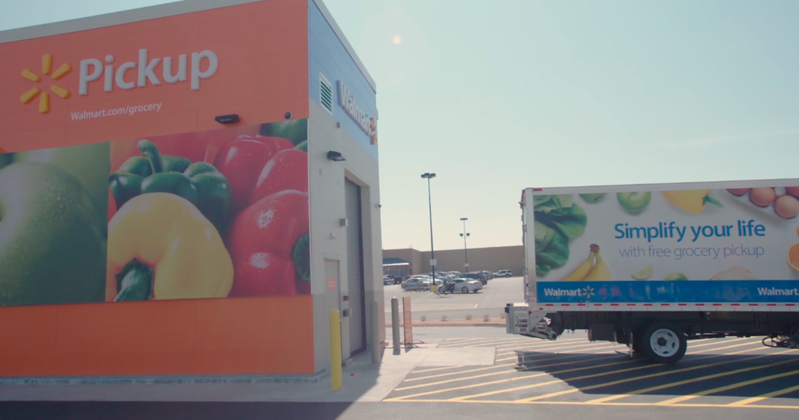 On the heels of Amazon opening a drive-up grocery pickup storefront, Walmart has opened its own competitor in the form of an automated kiosk which has first appeared at a store in Oklahoma City. This 20 x 80 ft standalone building is an answer to Amazon’s first foray into brick and mortar stores. 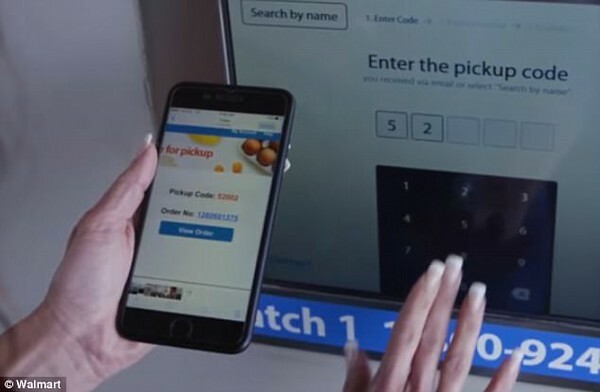 Walmart customers order their groceries online or through an app, that order is then sent to a local store where employees package and bag those items and the completed orders can then be picked up at the Walmart kiosk/standalone building 24 hours a day and accessible by a five-digit pickup code. Currently the service requires a minimum of a $30 order, however the self-pickup is free. Same-day pickup is available – orders placed by 2 a.m. will be available for pickup from 8 a.m. and orders placed by 10 a.m. will be available from 1 p.m. Pickups can be scheduled seven days a week, up to three weeks in advance. Although less than 5% of all US food and beverage purchases currently originate via an e-commerce channel, online grocery sales are experiencing growth. Walmart has invested heavily in this segment and now offers 50 million items through its website, up from 35 million in the last quarter and 10 million from the same time last year. These investments are slowly paying off, as e-commerce sales have grown 63% domestically last quarter. 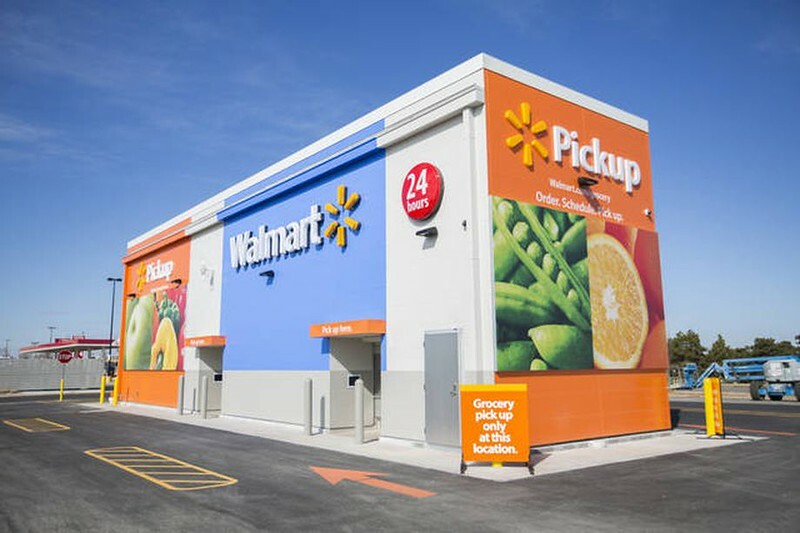 Walmart’s grocery segment now accounts for 56% of the company’s total revenue, therefore shrewdly competing with Amazon’s continued investment in grocery sales is a critical survival strategy.